BeWell Chiropractic Clinic (San Francisco) - Book Appointment Online! BEWELL CHIROPRACTIC CLINIC Neurology / Orthopaedic / Rehabilitation We, the doctors and staff, are committed to your optimal health and well-being, which is why our clinics provide the finest and safest natural / non-surgical care available. 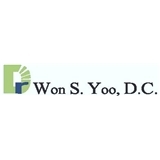 The office was very small and didn't seem super legit at first but the care was great and I really enjoy Dr. Yoo's directness when discussing treatment. He was quick, helpful, answered all my questions, and was very clear with what's necessary for the rest of my treatment.